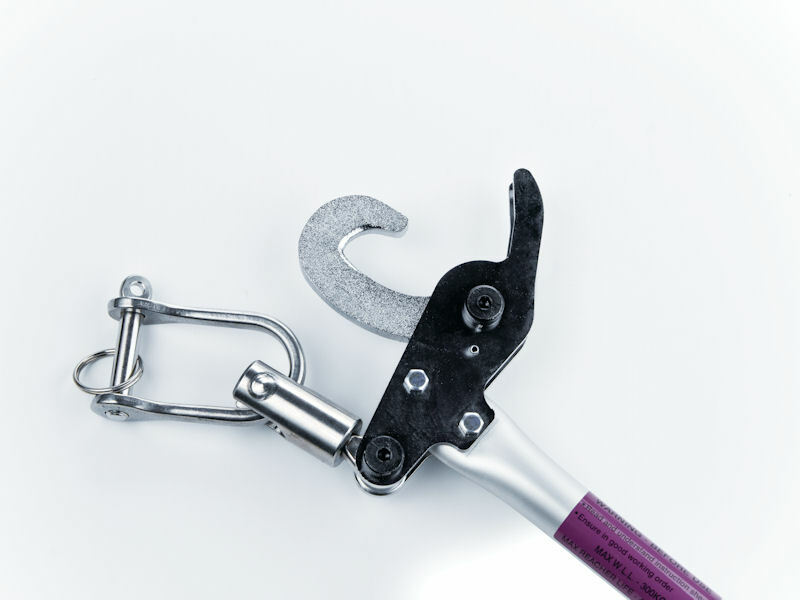 Unique and foolproof, this locking arm reacher is also designed and produced exclusively by CHS. A patented product meeting all standards, the RBFH locks onto the rail trolley with just the weight of the hoist unit, eliminating the possibility of becoming unhooked like conventional arm reachers. Available in 600mm (24’) and 900mm (36”) lengths. To enquire about the RBFH Reacher please complete the form below and submit.